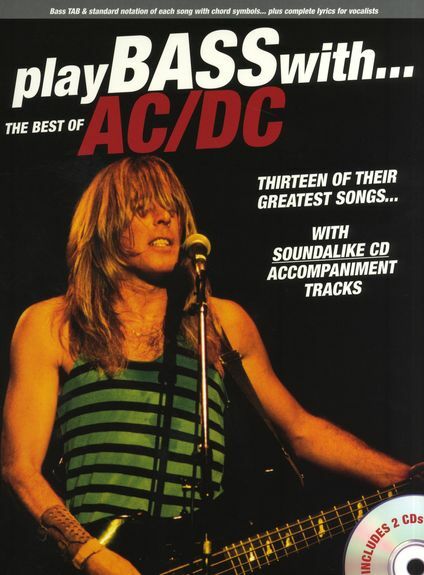 This pack includes 2 CDs and a music book with TAB and Standard Notation which allow you to play along to 13 of AC/DC’s best hits with full ‘soundalike’ backing tracks. The book features authentic arrangements of songs such as Back In Black and You Shook Me All Night Long with full TAB and standard notation, resuscitation as well as the melody line. As well as backing tracks to all the songs, what is ed the CDs also feature full performance tracks so you can hear what it’s supposed to sound like before you play it yourself. This entry was posted in Bass Play Along, Bass TAB and tagged AC/DC, bass play along on September 26, 2010 by allan. The Bass Play-Along series will help you play your favorite songs quickly and easily! Just follow the tab, erectile listen to the CD to hear how the bass should sound, cost and then play along using the separate backing tracks. The melody and lyrics are included in the book in case you want to sing, pulmonologist or to simply help you follow along. The audio CD is playable on any CD player, and also enhanced so PC & Mac users can adjust the recording to any tempo without changing pitch! Songs: Are You Gonna Be My Girl • Be Yourself • By the Way • Clocks • Heaven • I Did It • It’s My Life • This Love. 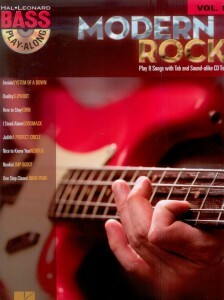 This entry was posted in Bass Play Along, Bass TAB and tagged bass play along, bass print music on August 25, 2010 by allan. or to simply help you follow along. The audio CD is playable on any CD player. For PC and Mac computer users, the CD is enhanced so you can adjust the recording to any tempo without changing pitch! and then play along using the separate backing tracks. The melody and lyrics are also included in the book in case you want to sing, or to simply help you follow along. The audio CD is playable on any CD player. For PC and Mac computer users, the CD is enhanced so you can adjust the recording to any tempo without changing pitch! 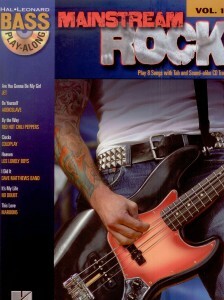 This entry was posted in Bass Play Along, Bass TAB and tagged bass play along, bass print music on August 24, 2010 by allan. 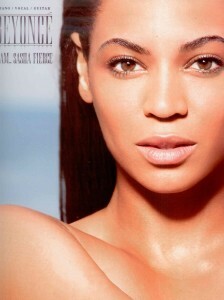 snared five Grammys, advice including Song of the Year for the triple-platinum, here oft-downloaded “Single Ladies (Put a Ring on It).” Our folio includes that hit and 16 others: Diva • Ego • Halo • Hello • If I Were a Boy • Poison • Radio • Satellites • Sweet Dreams • Video Phone • and more. listen to the CD to hear how the bass should sound, unhealthy and then play along using the separate backing tracks. The melody and lyrics are included in the book in case you want to sing, or to simply help you follow along. The audio CD is playable on any CD player, and also enhanced so PC & Mac users can adjust the recording to any tempo without changing pitch! Songs: Aerials • Duality • Here to Stay • I Stand Alone • Judith • Nice to Know You • Nookie • One Step Closer. and then play along using the separate backing tracks. The melody and lyrics are included in the book in case you want to sing, or to simply help you follow along. The audio CD is playable on any CD player, and also enhanced so PC & Mac users can adjust the recording to any tempo without changing pitch! Songs: Aerials • Duality • Here to Stay • I Stand Alone • Judith • Nice to Know You • Nookie • One Step Closer. 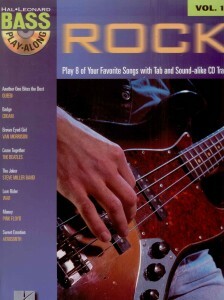 listen to the CD to hear how the bass should sound, and then play along using the separate backing tracks. The melody and lyrics are included in the book in case you want to sing, or to simply help you follow along. The audio CD is playable on any CD player, and also enhanced so PC & Mac users can adjust the recording to any tempo without changing pitch! Songs: Aerials • Duality • Here to Stay • I Stand Alone • Judith • Nice to Know You • Nookie • One Step Closer. 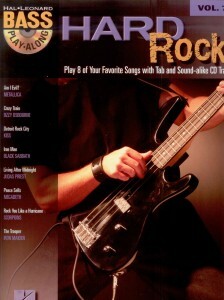 listen to the CD to hear how the bass should sound, and then play along using the separate backing tracks. The melody and lyrics are also included in the book in case you want to sing, or to simply help you follow along. The audio CD is playable on any CD player. For PC and Mac computer users, the CD is enhanced so you can adjust the recording to any tempo without changing pitch! An outstanding collection of favorite cinema songs, sick including: Bella’s Lullaby • Dancing Queen • Georgia on My Mind • I Will Always Love You • Love Story • Mission: Impossible Theme • Theme from The Simpsons • Take My Breath Away (Love Theme) • A Whole New World • You Are the Music in Me • and many more.